You know the old saying, “you can’t take it with you?” Well, we’ve got news for you, my friends, they were WRONG! “Deadbeats” have been taking their riches with them to the afterlife for centuries and it’s the job of the INFERNAL Revenue Service — and its army of skulls — to collect! That’s where you come in. In “Skullduggery!” you’ll play a Semi-Organic Autonomous Skull employed as a collection agent for the IRS. 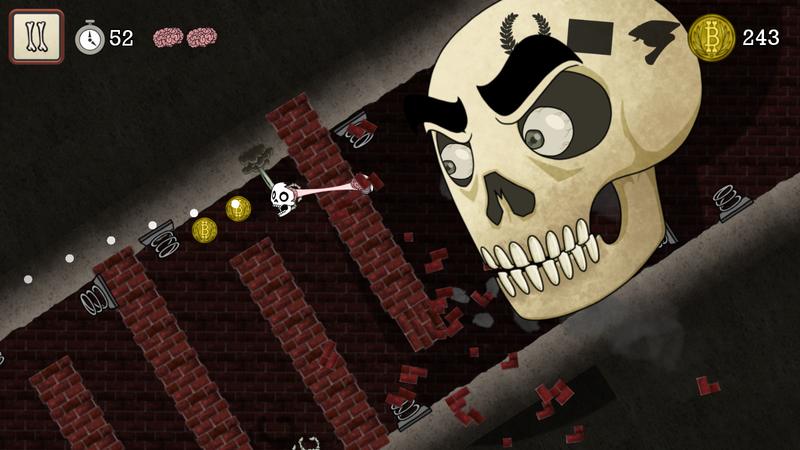 Using the elasticity of your own brain, flick yourself around the fortresses of the afterlife’s biggest deadbeats. – BRAIN POWER: Pull back ANYWHERE on the screen to stretch out your brain! Let go to snap your skull forward like a brainy rubber band. – BULLET TIME: Touch and hold in mid-air to slow down time, change directions, avoid deadly obstacles, and pull off crazy trick shots! – GRAVITATIONAL TRUANCY: Repeatedly jump by aiming again while your skull is mid-flight. – STEALTHINESS: Being small has advantages! Hide in trash cans, chests, and jars. Slip behind surly guards and take them out while their backs are turned! 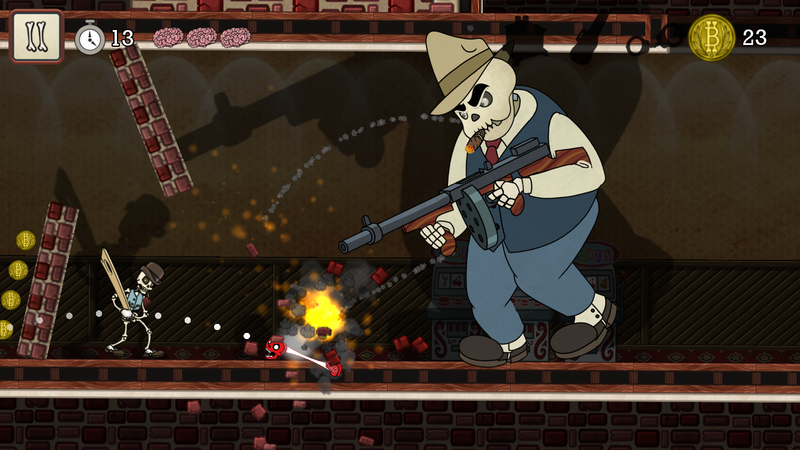 – HEADSHOTS: Take out enemies with a single well-placed fling to the cranium. – HEAD TO HEAD: Play ‘head to head’ against your friends to become the afterlife’s most successful agent. – BUREAUCRACY: Fill out paperwork and reflect on the inherent emptiness of existence! – A finely-tuned and deeply-satisfying one-touch control scheme specifically tailored to mobile. – Four distinctly unique and atmospheric worlds with more on the way. 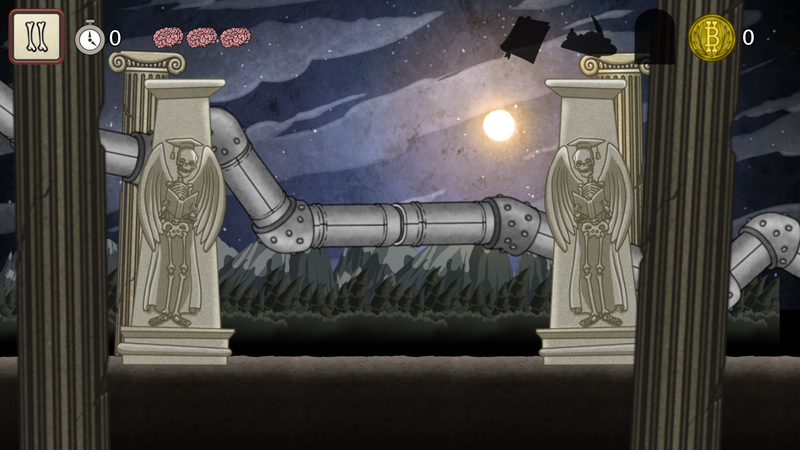 – Single Player mode with 32 surreal and pleasantly spooky levels. – Multiplayer “Head to Head” mode with a variety of brain-pounding arenas. – Hidden rooms and secret chests containing treasure and other delights. – Pleasing power-ups and epic boss battles! – Dozens of collectables and secondary objectives for maximum replayability. – Over 20 unique skulls to unlock, including guest celebrity skulls from some of our favorite games. – Compete with Google Play Achievements and Leaderboards.